About the book: From the last frontier, Space. A must-have, out of this world adventure! 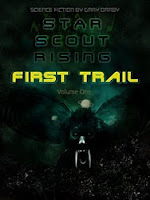 Star Scout Rising, First Trail by Gary Darby is a thoughtful, awe-inspiring, and spine-tingling Sci-Fi mystery that follows a young man named Del Baldura during his quest for knowledge, truth, and discovery in the distant future of human and alien kind. This story has it all superb background, surprises, mystery, love, futuristic technological possibilities, bizarre life forms, and a hero trying to make sense of his duty and loyalty, his current leadership responsibilities, and his search for truth about part of his and his family's history. I do enjoy sci-fi, probably more than I should. Generally, I don't read much sci-fi because they are very involved reads. Gary Darby's debut novel, Star Scout Rising, is no exception. The main character, Del, has his share of secrets--not the least of which is his name, linked for 17 years with reports of disgrace and death. He's a bit of a noble character, trying to rise above the ghosts from the past and find answers for the future. But sinister people are at work, vying for vengeance and power. Del's is definitely an uphill battle. But that's what we like, isn't it? It's boring to read a book about the drudgery of every day. I can live that, thank you--I don't have to read it. 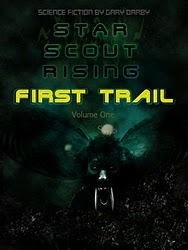 It's entertaining to escape into a book like Star Scout Rising and see another person's possible view of the future. Darby has a talent for description, and his characters came to my mind clearly. I could easily picture them as they interacted with one another. I like the intrigue of the first book. Obviously, the first of a trilogy can't answer every question if poses. And check out the author's blog HERE. We're down to the last few stops on my blog tour. Last week's winner of a copy of The Peasant Queen is Ann Best! Congrats, Ann! This week, there are 5 reviewers posting, so be sure to get them all as I put them up on the side bar of my blog. Diony George's review is up already from yesterday. And, don't forget to get your comments posted, because there's still the grand prize drawing the first week of March. Good luck, everyone, and happy commenting! ...is Angie Lofthouse! Congrats, Angie, you won a copy of my book for commenting on a review post. (I know you already have a book, but we'll talk lol) You're also entered in the end of the month Grand Prize drawing! Lauri, you've proven difficult to find. You left a message on my review of Growing up Gracie, but there's no link to your email or a blog. 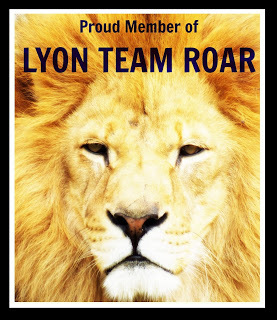 This is more a public plea--if you are Lauri or know Lauri, comment on this post or email me at Cheriwrites @ yahoo.com so I can award her prize! I've contacted her and hopefully she'll get back to me soon. Brendajean won a signed copy of The Peasant Queen. And, don't forget, this week's reviews are at the top of the Blog Tour list on my sidebar. Next Tuesday I will post the winner of this week's contest. All you have to do to enter is comment on the reviews. And, you'll be entered in the grand prize drawing I'll do at the end of the month. Next Saturday, in Provo, UT, romance lovers everywhere will want to be at the Provo Deseret Book store from 11a-1pm. Click HERE to find out why. Now, click the link and find out about the cool prizes, and how you can enter to win even if you can't attend the launch party. I loved Sarah's Courting Miss Lancaster so much, I did a search for her other books to try and get them too--and found out they had all been pulled from shelves pending re-release!!! So, here's the next one. 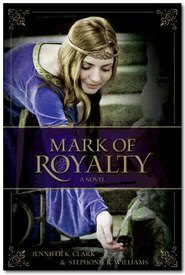 I've heard a lot about Mark of Royalty. I've seen the book trailer. I must say I am terribly intrigued. Click HERE to learn more about the book, and see the trailer. February has arrived! And, don't forget, the contest is on. Click HERE for a reminder on the rules and prizes, but the gist is simple--watch my blog's sidebar for review/interview posts about me or The Peasant Queen, comment on the reviews, and be entered in not only the weekly prize drawings but also the grand prize drawings. And, don't forget January's reviews/interviews are eligible for the first drawing this weekend!